Not sure if you are still taking comments but since it opened here are mine. Saw the idea of an overpass at a right angles to the freeway at the meeting. Makes sense although a bit of a challenge for north/south traffic. Also could consider the x pattern now in boise for this option. Probably would ease the entrance to the freeway and connections to east/west roads. Also definitely support the xeriscape\native vegetation option for the areas inside the ramps. Less long term maintenance costs. The interchange should have dryscaping - no irrigation required. Also on north and south ends the exit ramp and the frontage rd (Bob Barton on south) are too close and confusing. Hard to enter traffic lanes from Bob Barton. Something needs to be done with the truck traffic that enters and exits the frontage road on the north end of interchange. Please consider xeriscaping. The amount of water and maintenance is unnecessary and wasteful. We need to plan for the future and start conserving water. There are beautiful interchanges that have xeriscape. EASY ACCESS TO BUSINESSES ON FRONTAGE ROAD IS A MUST. Build a new bridge between the original Bob Barton and 200 South. get the traffic away from the interchange. A long third lane at the merge would be safer, a mile longer! Makes more sense to build another interchange at the 1 mile road for trucks. that bridge appears to need replacement as is. kill two birds with one stone. the grass makes Jerome look Green! its a lot better that dust and rocks. it makes Jerome a comfortable place. 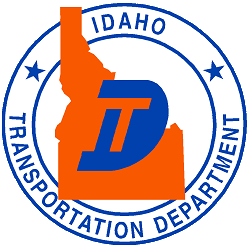 Build a new interchange at the one mile south overpass which would alleviate most of the truck traffic problem at Exit 168 due to truck traffic from WOW Logistics, Jerome Cheese, Dairy Gold, Idaho Milk Producers, and several other manufacturing facilities. Traffic would flow better to this exit and open existing land to new businesses. Exit 168 could last for another 20-30 years (as is) if this were to take place. This would avoid a major traffic problem which reconstruction would cause. This is a major need which has existed for 40 years. Thank you for your consideration. Exit 168 signal is at No.exit and needs to be at So.exit due to most truck traffic turns north. Leave exit overpass as is except for traffic signal change. It would be interesting to explore the opportunity to divert some of the truck traffic off of the east bound exit to a new roadway that could go behind Walmart and connect to E Yakima. It would be helpful to reduce the total truck traffic on South Lincoln. I'm sure the trucks that go to IMP and Scoular would love not having to travel down South Lincoln. There is currently no safe way of crossing the overpass via bike or foot. This is a big need. On-ramp is too short. Big safety concern for merging traffic at 80 mph. This approach isn't long enough. Dangerous to enter the interstate. There needs to be more separation between the off ramps and Bob Barton and the Frontage Roads. It's confusing and also causes safety/congestion issues. "dry scape" landscaping makes a lot more sense than grass in this area. Will require much less water, time, and maintenance from the City. Something like a diverging diamond would be nice, so long as it can accommodate the high volume of truck traffic. I'm curious how the Bob Barton intersection will complicate things. Longer on-ramps would also be nice for safety sake. Please don't make the same mistakes that make 2 lane traffic a nightmare on I84 in Nampa! I grew up in Filer, ID.I've been studying traffic trends for the past few years and the population growth according to the US census. According to trends, traffic here will skyrocket in the later future, so please build for the future! The bridge that was replaced near the Burley/Delo exit can accommodate 3 lanes on each side. I would strongly recommend building this interchange in a way that can accommodate 3 lanes of traffic on both sides of I84. This interchange will be around for a while, so it's best to plan ahead. Sometimes it's almost impossible to make a left after exiting I84 Eastbound onto Lincoln Ave. A stoplight with a left turn lane would help quite a bit with the heavy traffic, which often includes semis. Why are they not also fixing the 165 exit? That one is worse, going East toward Twin Falls. The on ramp is short and there are lots of accidents. You end up driving on the edge of the freeway trying not to get hit, because vehicles like semis won't move over. There is a blind spot with the overpass, so vehicles on the on ramp and on the freeway don't see each other. Add in when it is dark, and it is so dangerous. Need a stop light for Bob Barton and freeway. It takes forever to be able to turn left from both of them. Pedestrian and bike paths are a must for this overpass. WB in ramp is way too short. Many collisions and near collisions have occurred. People have had to drive in the emergency lane to avoid a crash. Traffic at times on I84 is too congested for through traffic to move to the left lane, while other times through traffic just won't move to the left lane to allow merging traffic to enter I84. EB in ramp is way too short. Many collisions and near collisions have occurred. People have had to drive in the emergency lane to avoid a crash. Traffic at times on I84 is too congested for through traffic to move to the left lane, while other times through traffic just won't move to the left lane to allow merging traffic to enter I84. The interchange design should pattern those newly installed interchanges in the Boise Valley. The X design (not sure if the proper name) seems to move traffic more efficiently off the interstate and would accommodate future growth. Do it right the first time.